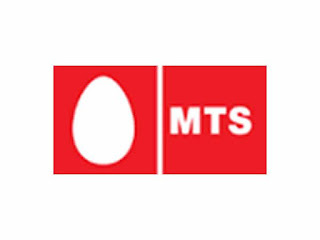 Bundle is a package of several things tied together for selling ,carrying or storing.MTS India (formally Sistema Shyam TeleServices Limited), referred to simply as MTS, is an Indian telecom service provider.They announced an exciting offer Handset Bundling offer for mobile customers in Gujarat. Customers in Gujarat now have the advantage to get a Life Time valid MTS mobile connection for just Rs. 900 with a colour handset bundled Plus Free talk time of 45 Hour !! !, to be utilized over three months. This translates to 900 minutes of free talk time for the same duration.The offer is spread across 3 months i.e. 900 minutes each month and segregated into 600 MTS to MTS minutes and 300 MTS to other network minutes. Customers availing this offer have three colour handsets to choose from i.e. MTS Popular, MTS Striker and MTS Super Power. Furthermore, after the usage of the free minutes, customer can enjoy the benefit of a cost-effective rate as low as just 1 paise per second for both local and STD calls.and yaah, there broadband service is awesome ! !so , Get Ready ...4 it.